Elegent deep blue velvet dress. 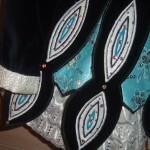 Mock panels and inserts on skirt is all one piece which lifts beautifully when dancing. 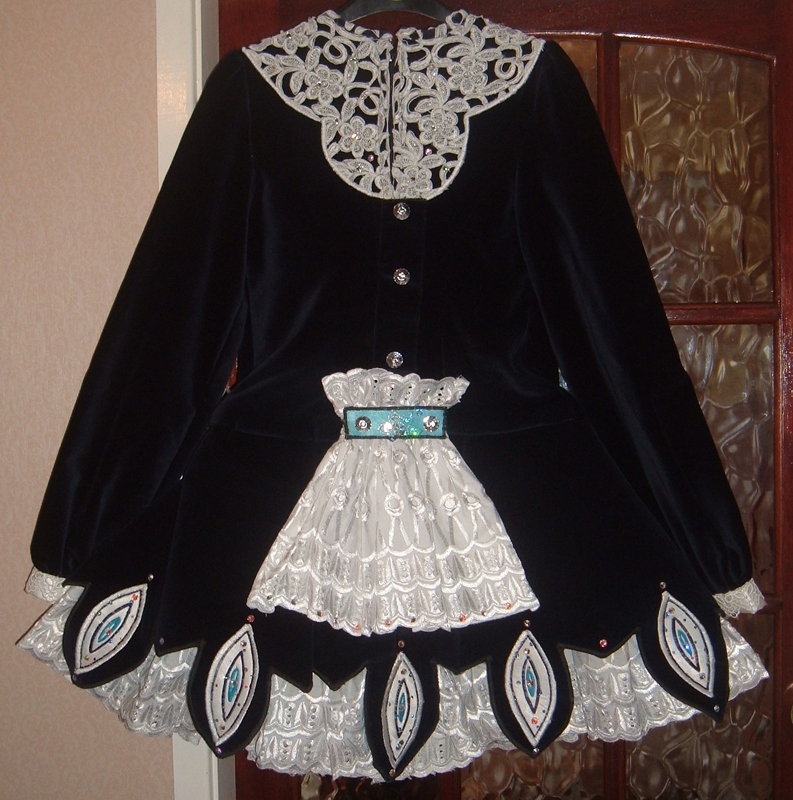 Broderie anglais underskirt. 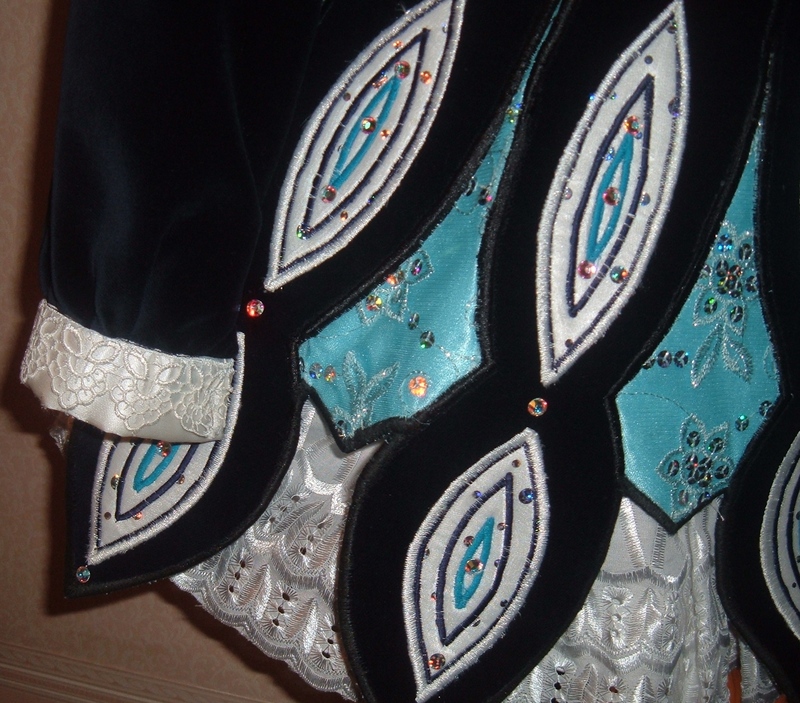 swarovski crystals (front & back) and ornate crystal buttons. 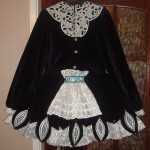 Sleeves have fitted white lace cuffs (elasticated to fit). 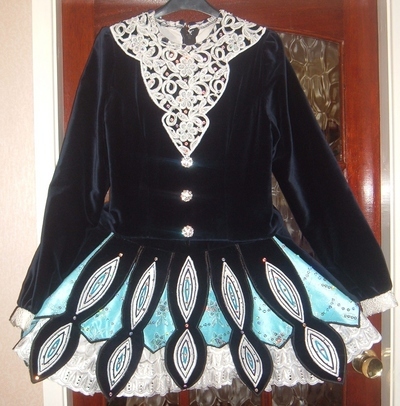 Includes velvet/lace headband and turqoise bloomers. This is dress is approx 18 months old but has only been worn about 5 times and is in excellent ‘as new’ condition – no stains or odour. Selling sadly due to daughter retiring from dancing. Approx 2″ let out in seams. Asking Price: £175. Shipping costs not included. Sale is final.